Guys, it’s less than a week away. As you read this there are red carpets getting cleaned, an army of volunteers being marshaled, and my God, think of all those lengths of rope lines. 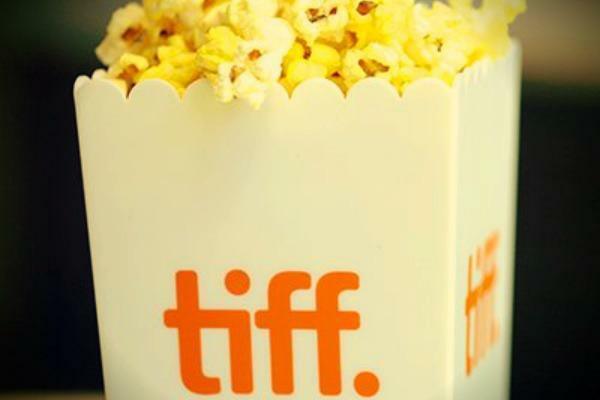 Yes, it is almost September in Toronto, which means it is time for the Toronto International Film Festival. Or, as I like to think of it, film nerd Christmas. I swear, I’ll go easy on the exclamation marks. As a way to both catalog my giddy anticipation and talk up some of the films I’m hoping to see this year, I’d like to present a rundown of my selections this time around. 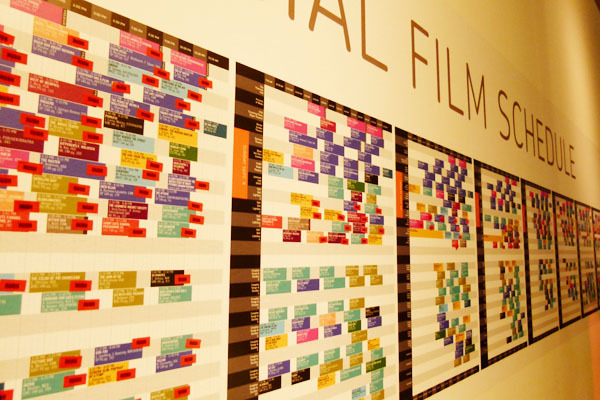 The festival can be intimidating for newcomers (huge number of films, arcane selection process, Bell is heavily involved), so think of this as something of a veteran’s guide. You don’t have to seek out these movies – in fact if you opt not to it’ll make it easier for me to get a ticket – but it may encourage. This year, I decided to steer away from the obvious ‘coming soon’ mega films debuting at the festival (your 12 Years a Slaves, your Gravities, what have you) and focus on smaller fare. This isn’t to say I completely avoided recognizable names, but most of these films will not appear in an actual non-fest theatre for some time (if ever). Also, this year I’m attending most of the movies with my brother, and Same Page contributor, Dennis. I’m not entirely sure he’s aware of what he signed up for. Let’s wish him good luck and get to it. My God, it’s full of movies! Up first on what is usually a fairly quiet day for TIFF (unless you really want to see the Gala opener, a dubious proposition most years), we’ve signed up for The Past (9:30pm, Elgin), the newest film from Asghar Farhadi of ‘A Separation’ fame. I suppose now is a good time to admit that I haven’t seen A Separation, which won the Best Foreign Film Oscar in 2011. I’m going in based purely on a reading of past quality (plus, Berenice Bejo, win-win). For Friday, a toss up was brewing between the sly sounding Blind Dates and the intense sounding Pioneer. Intensity won out. Pioneer (9:30pm, Scotiabank) is directed by Erik Skjoldberg, the man behind the original non-Al Pacino Insomnia. It’s about the corrupt and dangerous origins of the Norwegian oil boom of the 1980s, so I mean, what’s not to like? Plus, Stephen Lang and Wes Bentley (huh?) are in it. Go figure. We hit the first weekend with a late start: I’ll be taking in the latest film from Hirokazu Kore-Eda, Like Father, Like Son (4:30pm, Winter Garden). After an astounding run of films that included Hana, Still Walking, Air Doll and I Wish, Kore-Eda is basically the new Yasujiro Ozu. I am not the first person to make this comparison but it feels even more apt now as Kore-Eda has risen into the stratusphere talent-wise while also being dramatically overlooked (like Ozu in his day). Early on Sunday morning I’ll be jumping over to Jackman Hall (shoutout to old school TIFF theatres!) to see a film with the weirdest title, MANAKAMANA (9am). This is a film that apparently takes place largely on a cable car gondola over the Trisuli Valley in Nepal. It is either going to offer some Baraka-level spiritual enlightenment or dull me into a coma. Risk taking! I’m keeping the rest of the day open, just to be safe. The first weekend of TIFF is always very exciting; movie talk is flying every which way, the festival schedule stretches on into the horizon, and it hasn’t quite hit you that you’re about to spend every night for the next week in a dark room full of strangers. And so, Monday: we’re going for a “safe” choice with Under the Skin (10pm, Wales), a film by Jonathan Glazer. It stars Scarlett Johansson as an undercover alien succubus who “scours remote highways and backroads for human prey”. So, yeah, after taking the weekend off, Dennis was back onboard. Indulging in my love of police procedurals and crime stories (RIP Elmore Leonard, by the way), on Tuesday we’ve got the Joel Edgerton penned Felony (9pm, Elgin). I admit my hopes for this film are couched thoroughly in the knowledge that Edgerton comes from the Animal Kingdom school of crime movies. FYI Animal Kingdom is an awesome Australian crime film that balances off-kilter family dynamics with the usual lawman work; Edgerton was its breakout star. I have high hopes (even though Jai Courtney is also in it). Straight up, I’m taking a half time break on Wednesday. Full on TIFFing is a young man’s game and I’m years removed from my prime. Consider this my Tim Duncan-esque absence from a third game in four nights. Coach Popovich approves. Remember to carbo-load when TIFFing. And do some light stretching. We get back to it on Thursday with our second dip into the Japanese pool, this time with REAL (6:15pm, Scotiabank), a film directed by, whoa… Kurosawa?! Oh wait, it’s Kiyoshi Kurosawa. I need to calm down. REAL involves some sort of science fiction brain and memory transplanting situation that I’m going to pretend I understand. I can’t not trust a Kurosawa, even if this movie is tipping over two hours long. For Friday night, actually… nothing doing on Friday. How’d that happen? I’m going to pretend I have a real life. We rectify that on Saturday night by diving into Concrete Night (9:45pm, Scotiabank). Here’s what we know: moody black-and-white photography, Finnish setting, serious subject matter. Could be the feel good movie of the year. Will I be rushing movies in the morning like Dom Hemingway or a Japanese remake of Unforgiven starring Ken Watanabe(!)? Shhhh, don’t tell everyone. Now, if you’re doing the math, that means we’ve still got six tickets left. You know what that means? Mega Sunday Movie Showdown. This is the true TIFF test, ride or die style, here we go: Up first at 9am, Ida (Bloor), a film about a Polish family’s disturbing history during WW2 and the Holocaust. Sounds better than a cup of coffee. At 4pm, just to change it up completely, L’Intrepido (Scotiabank), a film about a Chaplin/Keaton-esque clown of a man, attempting to live his life with dignity in Milan. Sign me up. 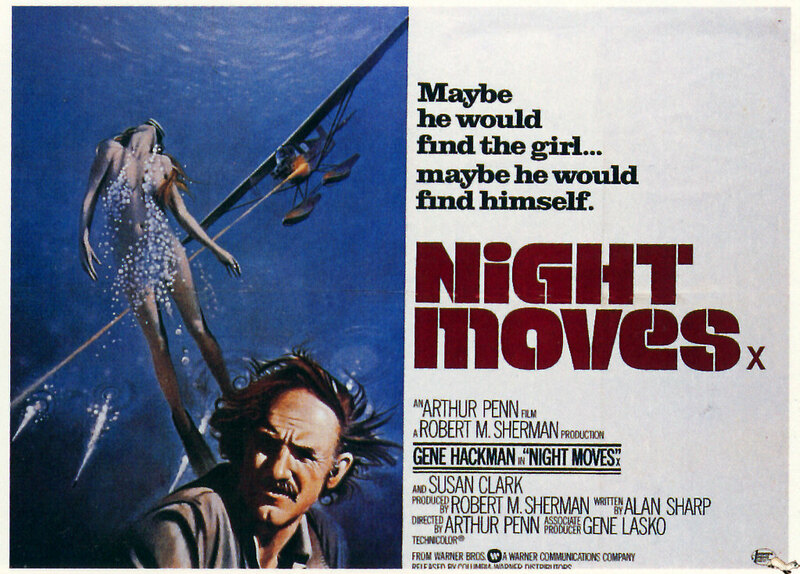 Finally, because we hate ourselves (but really, love), at 9pm we hit up Kelly Reichardt’s Night Moves (Bloor). Somehow this movie is not a remake of the classic Gene Hackman film of the same name nor does it involve Bob Seger. Regardless, if you’ve seen Meek’s Cutoff or Wendy and Lucy, you know that this pick is a no brainer (even if it means I miss Omar. Damn you TIFF schedulers). So that’s it. By the end of Sunday, I will have seen eleven movies for sure and possibly will have rushed a couple more. Dennis will be under hospice care. Sorry, bro (do you even TIFF?). Some of you may be asking: Is this reasonable? Does it make sense to see films at 20 dollars a pop? Will they all be good? This, my friends, is the supreme delight of TIFF, the secret nectar that sustains us film maniacs as we stand in line after line, rain or shine. The majority of the films I’m going to see I have only the most cursory knowledge of; it’s a name director or actor, a compelling story idea, a country with a strong film history. It’s all a gamble, one in which you really can lose your cinematic shirt (I’m still reeling from watching Revolver as my first ever TIFF experience in 2005), or win decisively. A small anecdote: Back in 2006, my second year attending TIFF, I stumbled into a film early in the morning at the Scotiabank theatre. For whatever reason I liked the title and the general plot notion. The film was called 12:08 East of Bucharest, and it told a very small story about a bunch of Romanians living in a small town as only former Bloc country residents can (it’s cold, wet, and grey). I had no knowledge of any of the film’s makers or its actors. Yet, about 90 minutes later, I emerged from the theatre with a dazed smile on my face. This unknown movie turned into a complete delight, combining elements of major history with moments of minor humanity. It was a symphony and I was glad to have been in the audience. That’s the magic, that’s TIFF. Get ready, and enjoy. I’ve been on a real Stephen Lang kick lately after watching the 80s TV show Crime Story, which starred the dearly departed Dennis Farina. Lang plays the crusading public defender David Abrams. The character plays saxophone with Miles Davis in one scene and ends up dating Pam Grier. I guess what I’m saying is Stephen Lang is a real G.
None of my picks match yours! I chose Tim’s Vermeer, Episode in the Life of An Iron Picker, Blind Detective, Asphalt Watches, The Last of Robin Hood, The Station. Really looking forward to Tim’s Vermeer – and ALL of them!